Kerching Casino has been around for more than 10 years. The renowned online casino is managed by Nektan, an experienced provider for UK casinos. Kerching Casino is especially known for its huge selection of online slots for mobile gamblers. There are more than 300 online slots and table games to play on the go! That’s just great and rare to find! Of course, the casino offers some more benefits as well as good bonus offers. As a new player you can grab first your welcome bonus and you can even play on the Cleopatra slot for free! You only have to deposit £ 10 if you want to play the first 50 Cleopatra Free Spins. This first deposit is even doubled, up to £50! With the next two deposits you will receive another 50 free spins and a total of up to £500 bonus! Do not miss this chance – you will not find free spins at the Cleopatra slot in any other online casino! Register within a few seconds and you can play immediately! Join Kerching and play 100 Cleopatra Free Spins and £500 Bonus! That you can play more than 300 slots, jackpots and table games from your smart phone, we said ready. 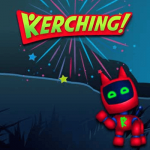 There are 25 providers for online games at Kerching Casino. The best known are Williams, NextGen, IGT, Lightning Box and Net Entertainment. Of course, you do not need to make a download – you play all the slots in the browser window of your computer, tablet or smart phone. There is no live casino, but the selection of slots is a must for casino lovers! You can use the following payment methods for your deposits and withdrawals: Visa, Master Card, Maestro, Trustly, Paysafe, Neteller or Skrill. From your smart phone, you can deposit directly with Zimpler or Boku. Payouts last for an average of 3 days at Kerching Casino. With e-wallets like Neteller and Skrill things are fastest, as always. Overall, the service is good and the bonus offers fair. Try it yourself and play your Cleopatra Free Spins! O’Reels Casino opened lasr year It belongs to Progress Play Limited, an experienced company in the online casino industry. O’Reels Casino offers a great range of slots and live games from 25 providers. All games are available without download and are compatible with Smart Phones and Tablets. These are but a few of the benefits you have here. Importantly, O’Reels has a UK Gambling Commission license and guarantees fair player conditions. Of course you get a welcome bonus at O’Reels. Prerequisite is that you register yourself. It only takes a few seconds and you can redeem your bonus right away. Starting at £10 deposit, your deposit will be doubled and you can play 50 free spins on the starburst. Your next two deposits will also be rewarded with a bonus and free spins. In total, you get 100 Free Spins and £ 600 Welcome Bonus! 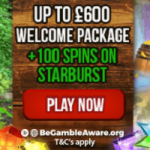 Join here and play 100 Starburst Free Spins and up to £600 Bonus! If you have redeemed a bonus, you have 90 days to complete the bonus terms. 50x you have to convert your bonus and the winnings from the free spins. In addition to your welcome bonus, you can receive additional free spins and bonuses with the “Wednesday Wildfire”, “Happy Hour” and “Twice Wicked” promotion. Also available: the “Live Dealer Cash Back” or the “Roulette Promo”. The game selection at O’Reels Casino is really impressive. More than 400 slots and games are available. You can play computer from your desktop or from your smart phone / tablet. The best known games manufacturers are: Thunderkick, Blueprint Gaming, NextGen Gaming, NetEntertainment, Microgaming, ELK Studios, Extreme Live Gaming, Genesis Gaming and Lightning Box.